Footballs season is getting back into full gear, my husband is talking practices and games dates again so I know tailgate season is just around the corner. While I am a master at easy tailgate food I also like to stay home and see the game in the air conditioning. This normally means a good football party! 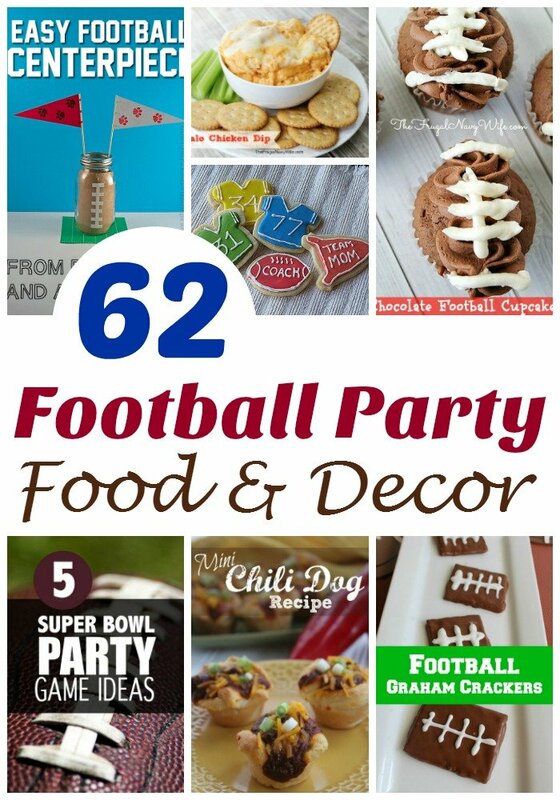 So I have put together a list of 62 football party ideas from the football food to the decor you can use the same set up for any games just change out colors! So it doesn't matter whatteam is playing you are always ready to host the killer party and keep cool (or warm in many cases!). So what are your favorite football party must haves?! Tell me below!